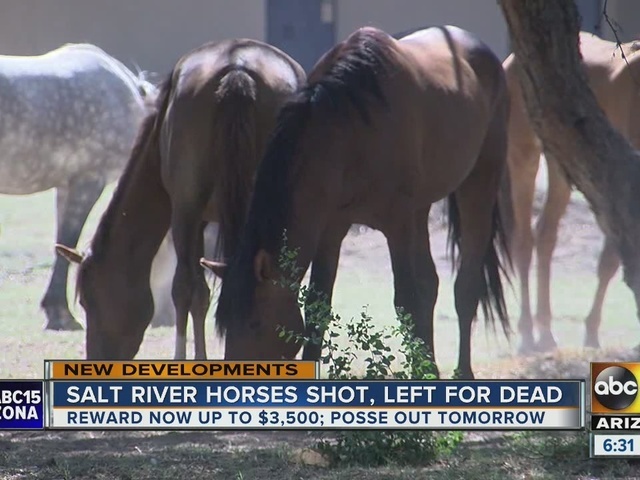 The Maricopa County Sheriff's office has mobilized its mounted posse to help after a wild horse living near the Salt River was found shot to death. Two other horses also suffered gunshot wounds, the sheriff’s office said. 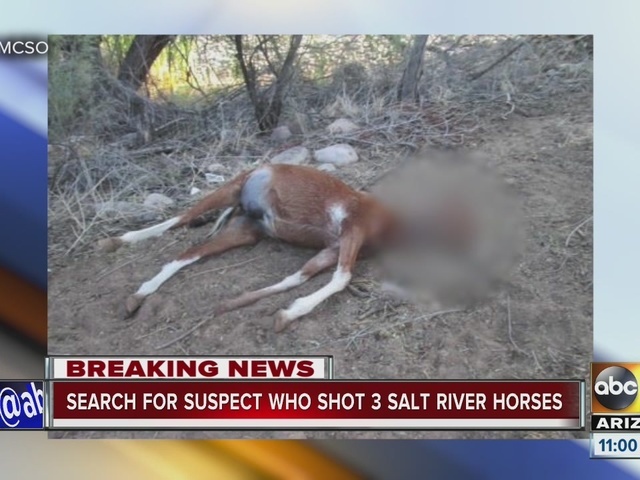 They are being closely monitored by volunteers from the Salt River Wild Horse Management Group, said group president Simone Netherlands. Authorities said the shooting happened on Friday around 6 p.m. A witness told deputies the shooter was wearing black shorts and a dark green shirt. He was with two other people. According to a press release, Sheriff Joe Arpaio said the mounted posse would be helping to look for additional evidence in the Tonto National Forest. The shootings took place at a place called Pirate's Island, a short hike away from the Pebble Beach Recreation Area off Bush Highway. Netherlands said the shootings were brutal. 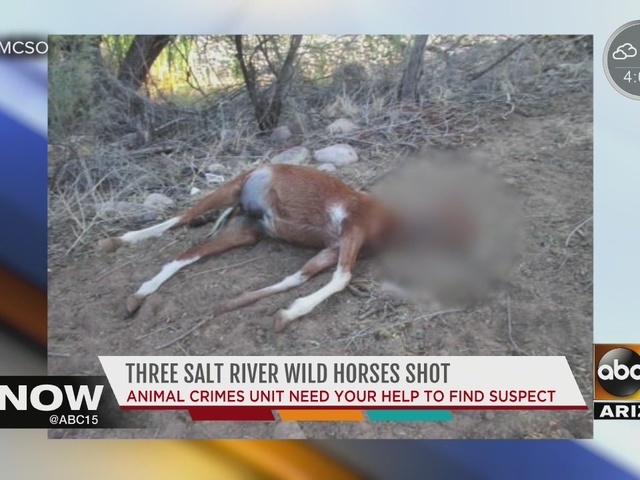 Not only was the foal, named Kai shot multiple times, but his body had been mutilated. "This is absolutely horrible to us. These wild horses are our family, we've seen them grow up," said Netherlands. The group had fought hard to help keep the wild horses free in the Tonto National Forest. Volunteers spend a lot of time out there observing and monitoring the horses. They practically had a name for each one. "The person who did this is an insensitive son of a gun who purposely is hunting these wild horses," said Netherlands. Some of the volunteers spent the weekend out in the wilderness observing two other foals who had been shot. Netherlands said they appeared to be doing fine, although one was limping. Some volunteers were visibly shaken up after the shootings and were openly crying. "Why did you do it? Why?" asked volunteer Cricket Weber. Netherlands said since the shooting the group has asked volunteers to go out in pairs for their own safety. The group is offering a $2,500 reward to anyone who could help catch the killer. Sheriff's officials said a local attorney was also donating $1,000 toward the reward for information in the case. Animal advocates have set up a GoFundMe page to raise money in case they have to rescue one of the wild horses. Those looking to contribute can do so by clicking here.